Fit Fashion & Fun Day is an all new offering from FitNice! This is NOT couture sewing -this is how to “fit” the easy way to create and design the clothes we all wear every day! 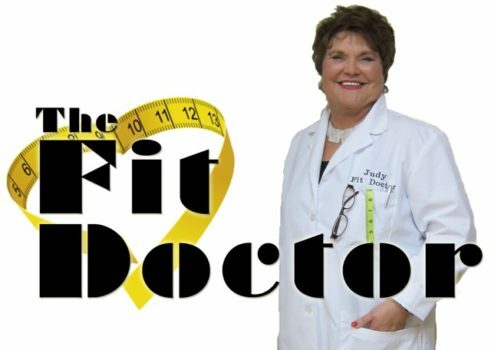 Judy will present a power point on issues that most ladies have when fitting tops and pants and how to solve those issues. The most important part of this day! Judy will personally measure each lady and draw on a miniature pattern where you will go home and draw for yourself. We go over your fitting issues and solve them then and there. Judy will teach you how to measure yourself and draw a pattern that only fits you. She will show you how to make any necessary adjustments on the finished garment and then transfer those adjustments to your pattern. 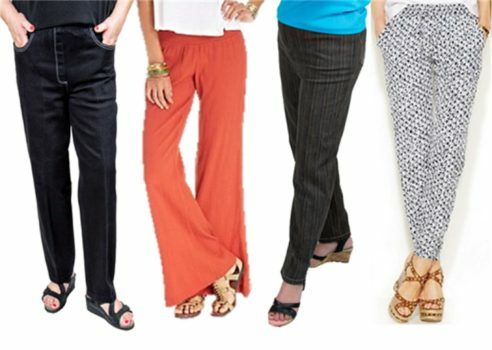 Learn all the sewing and fitting tricks to make your pants look perfect! You will feel and look fantastic! Click below for supply list. This class is full. Openings are still available for the Fit, Fashion and Fun Day on Thursday, April 11th. 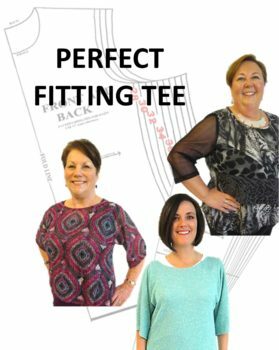 In this class, you will start out making a knit tee shirt with either a scoop or Dondi neckline THAT FITS. From this master pattern, you will be able to go on and make blouses, coats, jackets, and vest. Our 2019 Kimberbell Club has begun with3 new projects and one freebie already demoed. 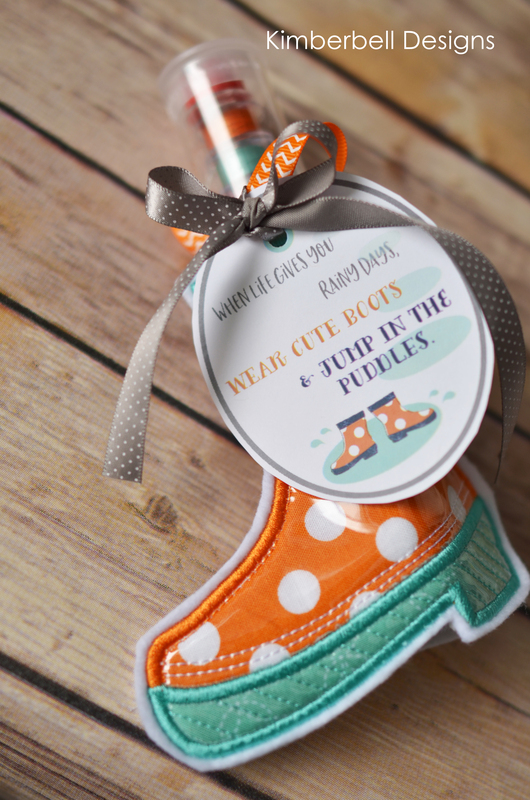 You can join Kimberbell Club anytime for the year for $99 or choose a monthly project for $15. Register to attend the current month below. Choose to register as a current member or purchase monthly or yearly option. Bring a flash drive. 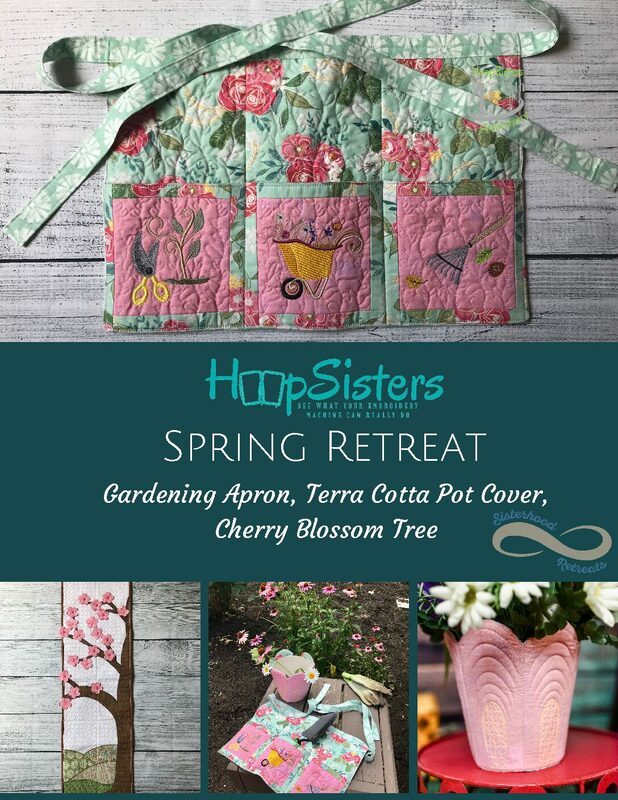 Spend the day making your Hoopsister Retreat Spring Wall Hanging. Files will be provided for Gardening Apron, Terra Cotta Pot Cover and the Cherry Blossom Wall hanging. Project is just the Tree. Kits available for the Tree for $50. There are kits for the other 2 projects that will be available the day of class. 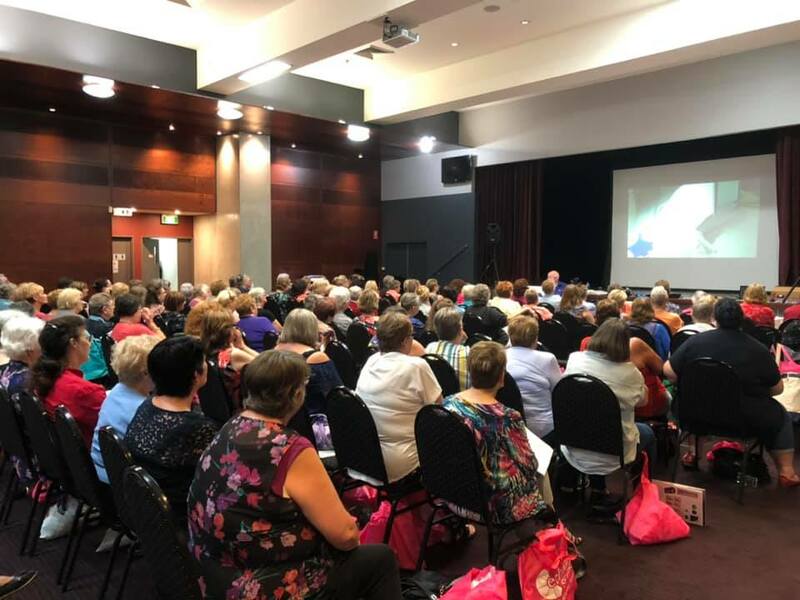 Kym returns from Australia with an all new Sewing Revolution Trunk show! After wrapping up sold out shows in Australia, Kym is bringing her talents to the US! 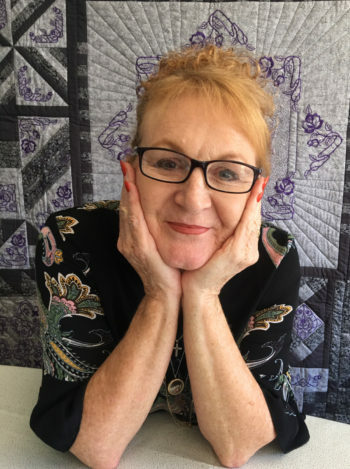 Kym will inspire and amaze you as she guides you through how to create perfect shapes and more for applique, quilting and embroidery placement. Her rulers and methods make it possible to easily achieve perfect results. 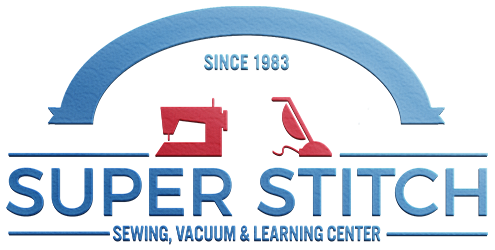 Whether you are a sewist, quilter and/or machine embroiderer, you will learn to become more creative while being entertained by Kym. Kym returns from Australia with an all new workshop! 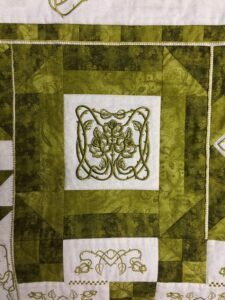 Kym will teach the first 2 Blocks of her new techniques quilt. Each block features a different foot, technique and/or ruler. 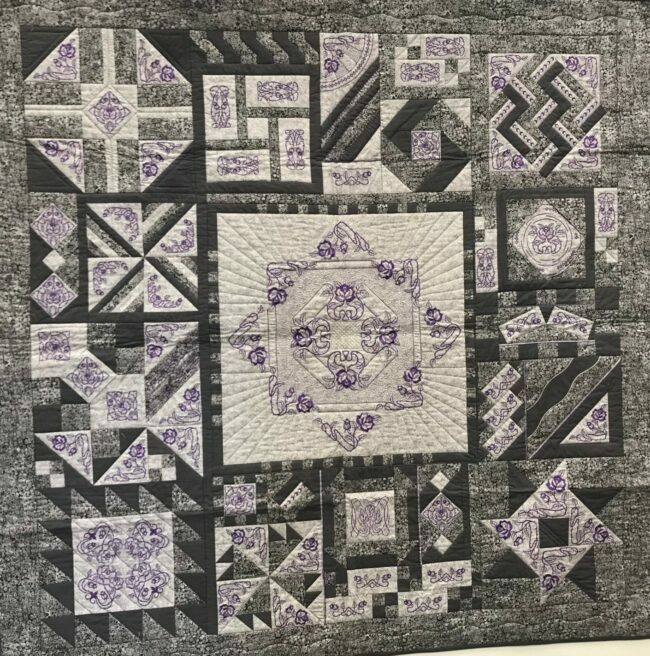 We will continue offering a block each month to complete the quilt or you may finish your block into a pillow or table topper. 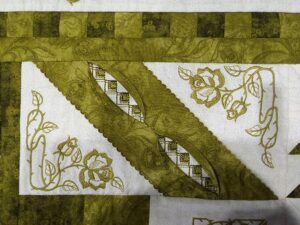 Learn to do twin needle embroidery and finish the block using Kym’s Too easy ruler. Embroidery machine owners welcome. 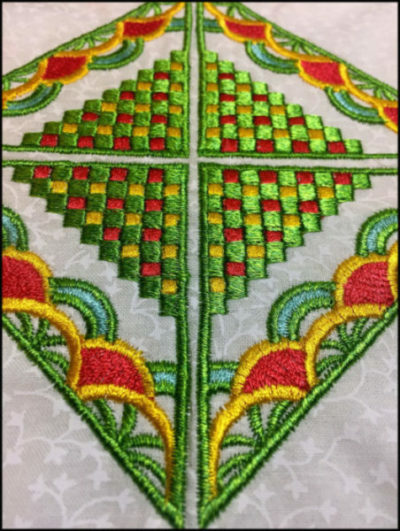 Note:  Not all embroidery machines are able to do twin needle embroidery.Please indicate in notes if you need a machine provided. Embroidery placement, more twin needle embroidery, and bias trim with a shell tuck stitch are just some of the techniques you will learn in making this block. 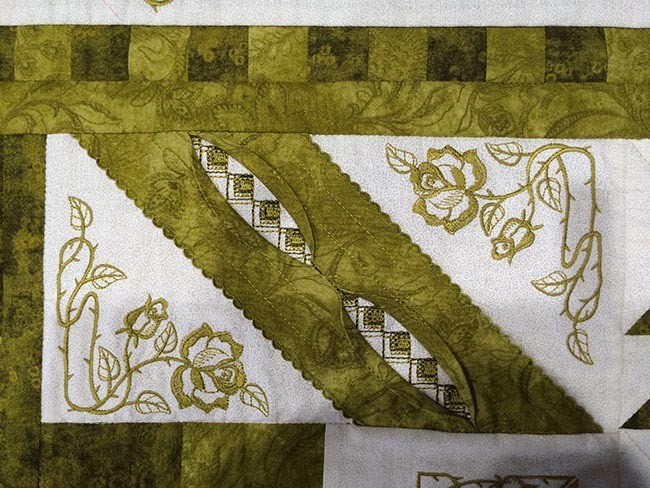 If you wish to continue making the whole quilt, here are the complete Fabric requirements. S9, 12000 and 15000 owners will learn to create decorative stitch combinations using the cornering function in Horizonlink, as well as the other functions in Horizonlink or Acutools. Please bring your laptop with Acutools (S9), Horizonlink (12000) or Horizonlink Suite (15000) installed and updated. Please bring your power cord and a flash drive. 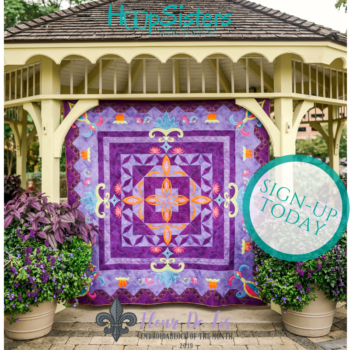 Join us as we continue the newest Hoopsister Block of the month-Fleur De Lis with month 3. We will meet monthly for 5 months to receive all the files, with additional work sessions as needed. You may bring a flash drive for the files or request a CD. It’s not too late to join.